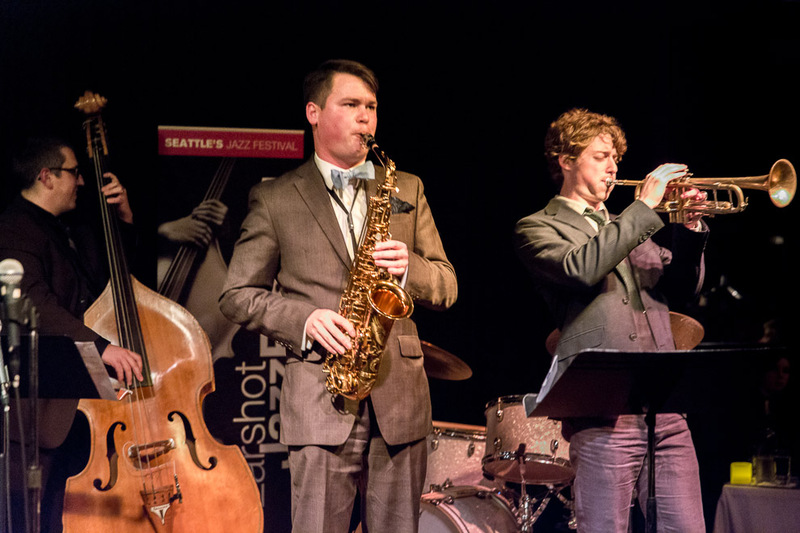 Seattle-based composer and alto saxophonist Jacob Zimmerman, with roots at the greatly respected Garfield High School, attended the New England Conservatory of Music, in Boston, as well as Mills College, in Oakland, where he studied with Roscoe Mitchell. 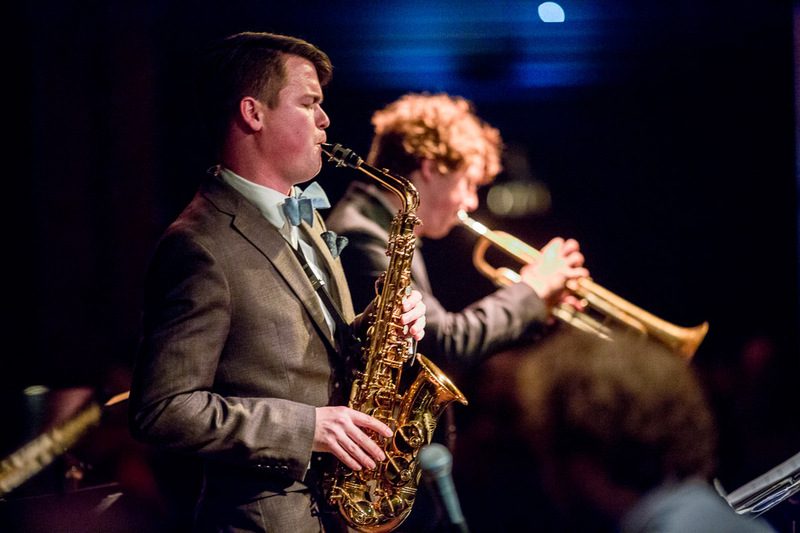 The promising young alto saxophonist holds a long-standing monthly gig – classic 40s and 50s bebop – at Egan’s Ballard Jam House and frequently plays traditional jazz for swing dances all over the world – recently South Korea, for example. 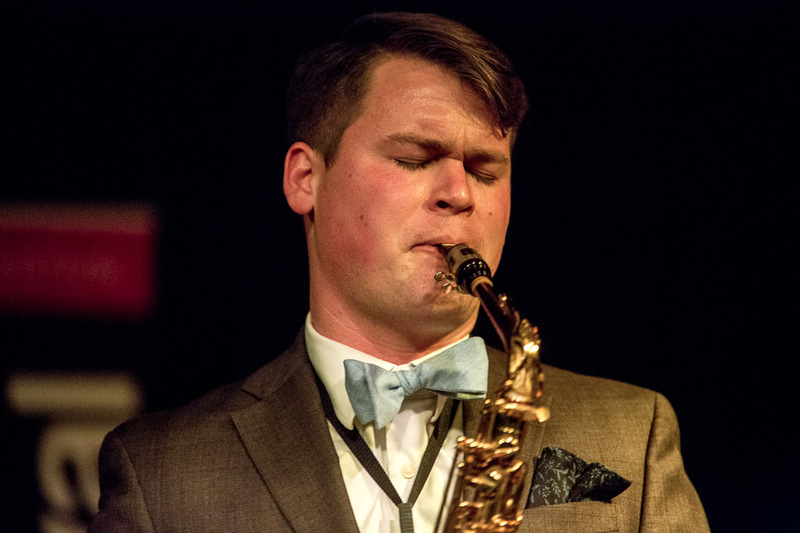 Recognized as Earshot’s Emerging Artist of the Year in 2013, Zimmerman leads with a tasteful, versatile voice on saxophone and clarinet. 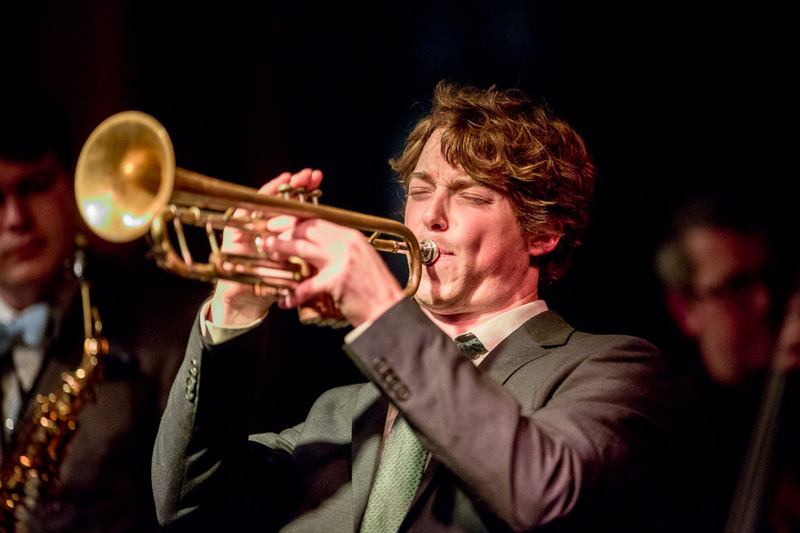 His sextet’s lineup includes the captivating drummer Evan Woodle, prolific trumpeter Ray Larsen, ferocious acoustic bassist Nate Parker, and crackerjack pianist Jake Svendsen. 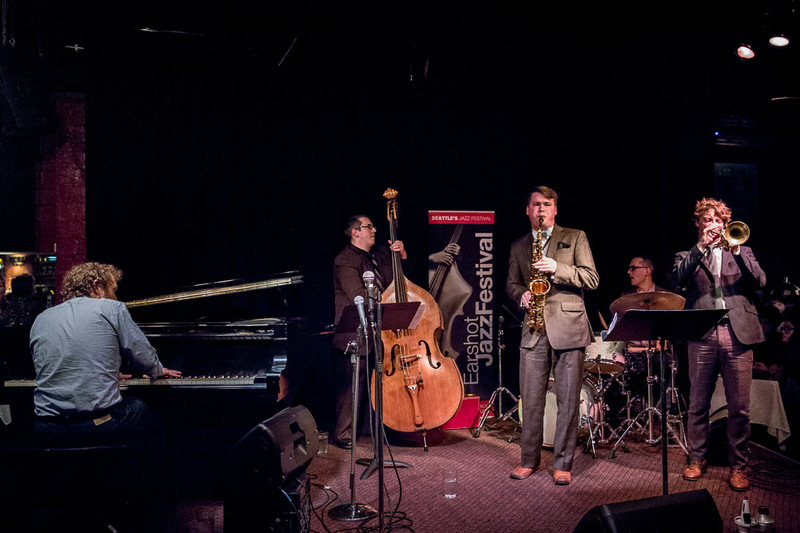 On top of this bombastic group of players, vocalist Katie Jacobson, winner of the Ella Fitzgerald Vocal award at the Essentially Ellington competition in New York and songwriter and leader for band Honey Noble, song-birds her way through various accompaniments. Awesome hardworking talented Ray Larsen, and the rest of the group! Beautiful music!! Always a pleasure to listen to! Thanks for sharing your talents! Ray is terrific! We all love his playing.